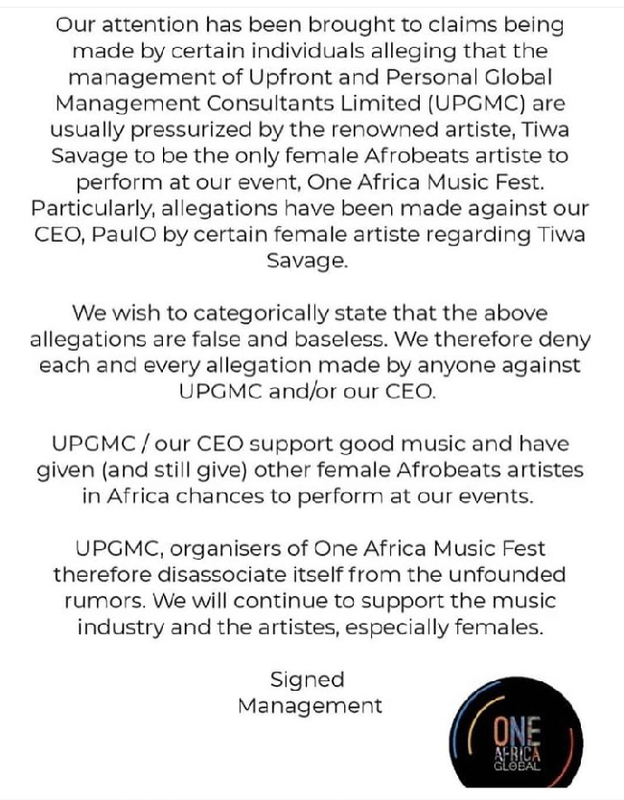 The management company; Upfront and Personal Global Management Consultants (UPGMC) owned by music business mogul; Paul Okoye popularly known as Oga PaulO, have published a press release to debunk the allegations put towards their CEO by Kenyan singer;Victoria Kimani, that Tiwa Savage tells him not to allow any other female artistes to perform at a concert she will be performing at. 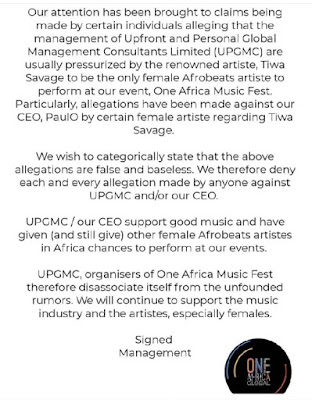 The press statement comes just a day after Victoria Kimani, who has been calling out Tiwa Savage for the past few days commented on a post by Oga Paul O on Instagram, giving accolades to Tiwa Savage for her hardwork and continuous achievement. 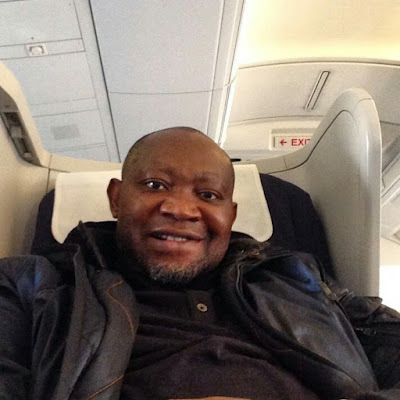 She blasted the business mogul and accused him of being the one who told her Tiwa blocks them from getting deals in the music business.